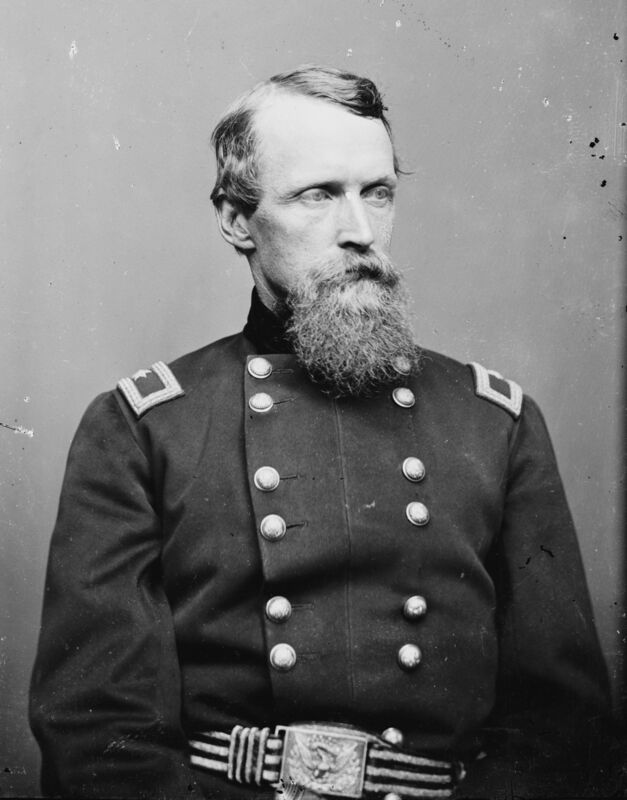 Today in Masonic History David Bell Birney is born in 1825. David Bell Birney was an American solider, lawyer and businessman. Birney was born in Huntsville, Alabama. His father was an abolitionist from Kentucky. In 1833, the Birney family returned to Kentucky where his father freed all of his slaves. In 1835, the family moved to Cincinnati, where Birney's father published an anti-slavery newspaper. Before long the family was chased away by pro-slavery mobs. They would move first to Michigan and then to Philadelphia. Birney would graduate from the Phillips Academy, Andover, Massachusetts. After which he would go into business and study law. Eventually being admitted to the bar. Leading up to the American Civil War, starting in 1856, Birney began practicing law in Philadelphia. He would also study books on military strategy. Birney entered the Union Army just after Fort Sumter as a Lieutenant Colonel. Birney would rapidly climb through the ranks. His rapid promotions were due to his political connections as opposed to any military skill. In fact during his career he would get in legal trouble more than one, always escaping punishment. Birney would serve in many battles during the American Civil War. The commander of the III Corps which Birney was a part of, disobeyed orders and repositioned the III Corps putting Birney's unit in a position where they were spread too thin. The Confederate units rolled over Birney's unit and most of his men were killed in the battle. At one point during the battle, when he had gathered his men on Cemetery Ridge he stated to one of his officers "I wish I were already dead." When the commander of the III corps was killed Birney would assume command and would retain the command for 8 months. Birney is considered one of the more successful "political generals" of the Civil War. Many of his peers disliked him because of his political rise through the ranks. He was far from beloved by the men under his command as well. In 1864, Birney contracted an illness. It is unclear if he had malaria, dysentery or typhoid fever (malaria is the most common disease stated). He would return to Philadelphia to convalesce and pass away three months later on October 18th, 1864. Birney was a member of Franklin Lodge No. 134, Philadelphia, Pennsylvania.